Driftway Animal Hospital has both immaculate facilities and a welcoming and knowledgeable staff. Throughout my eighteen year experience with the hospital, my pets and I have always been treated with respect, compassion, and professionalism. The staff has a genuine concern for the well-being of each pet as well as for the satisfaction of the pet owner. My pets have received optimal preventative care as well as medical and dental treatment plans that use reasonable diagnostic tests with consideration of my financial constraints. 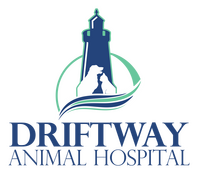 The Driftway Animal Hospital "team" works as a smooth-functioning unit. Their camaraderie is endearing and their personal, sincere, and skillful approach makes the "going to the vet" experience more like being with "family".